Successfully Added 9 Inch Car Headrest Monitor with DVD Player (Pair) - 800x480 Resolution, Built-in Speaker, Built-in Wireless Game Function to your Shopping Cart. A pair of 9 Inch Car Headrest Monitors with DVD Player that feature a resolution of 800x480 as well as having Built-in Wireless Game Function is a cool way to enjoy your ride. Two is better than one, that’s why if you are looking to give your passengers extra comfort and entertainment while on a road trip then this pair of 9 inch headrest monitors is the answer. These monitor have been made to fit in your car as they have a universal design that fits most vehicles. 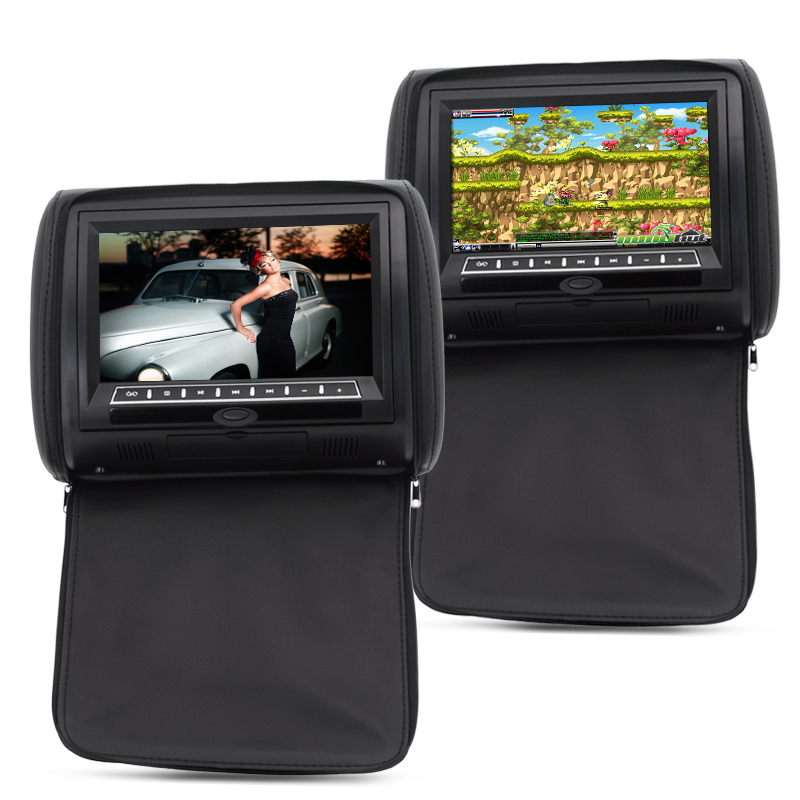 Keep your children amused or frustrated passengers entertained as you are heading down the road because these 9 inch monitors offers a resolution of 800x480 therefore all your content will display clearly. You can also hear everything you watch directly from these headrest monitors as they both have built-in speakers, plus there are several ports so you can insert external devices such as a SD card. Another feature to keep your passengers busy on those long road trips is that these monitors have a built-in wireless game function. Long car journeys will never be the same again thanks to this pair of wholesale priced car headrest monitors with DVD player. This product is in stock now, we guarantee next working day shipping and offer a 12 months warranty on all our products. Brought to you by the leader in electronic devices and wholesale roof monitors, Chinavasion. Perfect gadget for the car. Very clear screen with Sony DVD player. My son love it. Of course ...... no bad points.